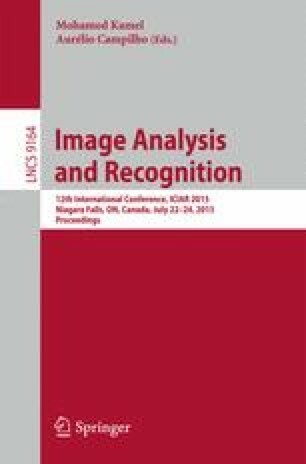 In this paper, a method for the detection of posed facial expressions in still images is proposed. The method exploits a combination of geometrical deviations between sets of landmark points together with the difference in quality of visual appearance of patches around these landmark points for accurate and robust detection of posed facial expressions. First, novel descriptors are derived based on the Hausdorff distances between triangulated landmark point sets within a given image satisfying reflective symmetry constraints. Further, the structural similarity of patches around these point sets that are reflection symmetrical is calculated and fused with the geometric features for classification. Experiments using selected examples from publicly available dataset have demonstrated that the proposed method can sufficiently encapsulate the intensity of a facial expression and thus achieve superior accuracy in the separation of posed from spontaneous expressions.